Flavor: Mild hotness of world’s sweetest & reddest chili with sweet flavor of fennel seeds along with a hint of cinnamon, clove & black pepper. Uniqueness: It can be used to make three different types of pickles. -It is made with original traditional technique carried out by Indian mothers for a long time. (1) Wash the Mangoes and pat dry with a Clean cloth, chop the Mangoes into Small Pieces and store in a Vessel. 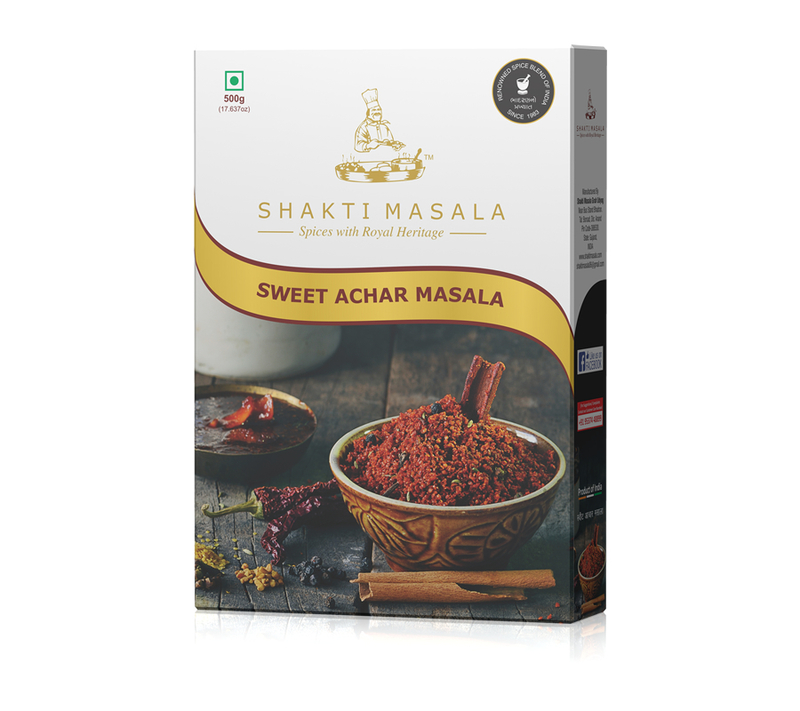 (2) Add Shakti Sweet Pickle Masala in it and mix well. (3) Then add Jaggery in the mixture and store it for 3 days in a jar. (4) After few days you can Savour the Flavour of Delicious Sweet Pickle. (1) When adding oil heat it first, let it cool down and then add in the pickle. 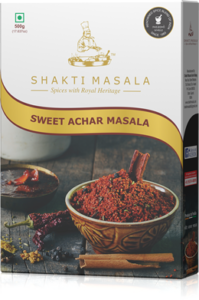 (2) To bring out the taste of shakti pickle masala add chopped pieces of dry dates in the pickle.